You may think that online reviews are something that can’t replace word-of-mouth... Yes, word-of-mouth will always have its place in real estate, however, the traditional word-of-mouth is now almost entirely online. Firstly, we’re not saying you aren’t already credible through word-of-mouth, but why not verify what people say (and bring it online for everyone to see) by utilizing online services that are third-party, independent and verifiable? Reviews help clients do their research on you, and they will do their research. In fact, 85% of customers use the Internet to research before making a purchase. The differentiator is when they read what others have said about you on an unbiased platform, they are sold on your service even before they have met you. What better way to instantly connect to your clients (and prospective clients) than being able to connect to them publicly? This way, you are showcasing your excellent customer service and communication. You are verifying that you are open, willing to communicate, and make your clients happy. Even if it is responding to a negative review, you are telling potential clients how well you respond to adversity and are able to turn a negative into a positive. In a lot of cases, this is a huge differentiator when it comes to choosing an agent. It’s almost more important than having all positive reviews. Even if you have no idea what SEO even means (it’s Search Engine Optimization by the way), being online and having those reviews allows for a greater chance that consumers are going to be able to find you. Not only find you, but to also see those reviews and give them a greater idea of who you really are (which is a reputable agent, with fantastic customer service skills, of course). This screenshot was taken on page one of Google - why is that important? This is because 94% of people only look at the first page of Google results. The truth is, people are going to talk about you no matter what. It’s then up to you to take control of how it’s seen. Do you let it be and hope for the best? Don't let us be the first ones to tell you that that’s not always the best idea. So it's critical to start building your online review management strategy. 83% of buyers no longer trust advertising, but most trust recommendations from users online. You will always get a negative review but how you choose to respond and take control of it, dictates how people will view you as an agent. Evidently choosing not to respond won’t show potential clients how well you can cruise through adversity… food for thought. Millennials are now the up-and-coming market you need to think about – and fast, as Millennials are expected to form 20 million new households by 2025. Many search online for, well, pretty much everything and especially purchases. From which restaurant to eat at, to finding doctors, online reviews are going to be a key-determining factor in bringing in new business. As well as being active on social media, having an online reviews portal is going to lead to a greater transparency for these consumers. Trustworthiness = more business, simple as that. 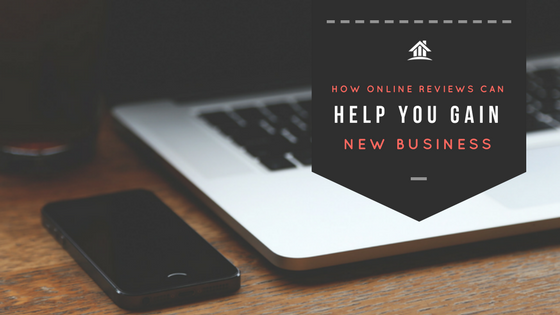 So now is the time to start building your Online Review Strategy. RankMyAgent is an online real estate platform that connects Real Estate Professionals and brokers to consumers by using the power of reviews to get them recognized, generate leads, and build their online reputation.